So, now that you’ve tested yourself, I’m guessing you aren’t too impressed with your balance skills. 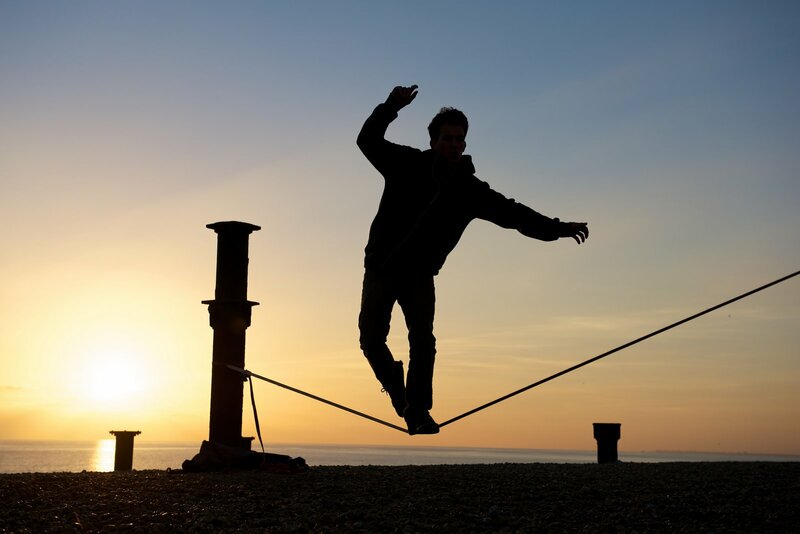 The question now is, how can we improve our balance? Performing balance exercises with a rocker, wobble board or cushion is VERY EFFECTIVE! You’ll be surprised that if you use this for 10 minutes a day, the improvement in balance is significant in just 2 weeks. Another method takes no effort at all on your part, and that is the use of custom made foot orthotics. Simply known as arch supports, foot orthotics (the good “prescription” kind) correct the rolling in or out of the heel bone, referred to as pronation (rolling in = most common) or supination (rolling out) by wedging the heel of the orthotic/arch support. This stabilizes the ankle joint, reduces the inward or outward shift at the knee and hip joints, and as a result, improves our balance. Results of a recent study proved this to be the case. Researchers studied 13 subjects over 65 years of age who reported at least 1 unexpected fall in the past 12 months and measured their balance skills using a similar test as the one you just tried as well as 3 other tests (tandem stance, tandem gait, and alternating step tests) twice before and twice after starting use of custom foot orthotic intervention (immediately after and 2 weeks later). In each of the 4 balance tests, improvement was statistically significant in the post-tests and 2-week later follow-up tests PROVING that balance is effectively improved when wearing custom made foot orthotics. We recommend doing BOTH the exercises and the use of custom foot orthotics to obtain even better results. Since falling is such a common occurrence at any age, especially in those over 60-65 years old, these simple strategies seem like a “no-brainer” to implement into a treatment program, especially for people with poor bone density at high risk for fractures. We realize you have a choice in who you choose to provide your healthcare services. If you, a friend or family member requires care for low back pain, we sincerely appreciate the trust and confidence shown by choosing our services at Hinterland Chiropractic and look forward in serving you and your family presently and, in the future.